This is a lovely old pattern and very relaxing, always the same stitches all along. You'd tat it on autopilot, if you ever had one. I tat by hand and, sometimes, with only half brain connected, so I've to deal with my oversights, untat them when possible, otherwise, if it is nearly impossible, call Dr. Downplay to cheer me on. 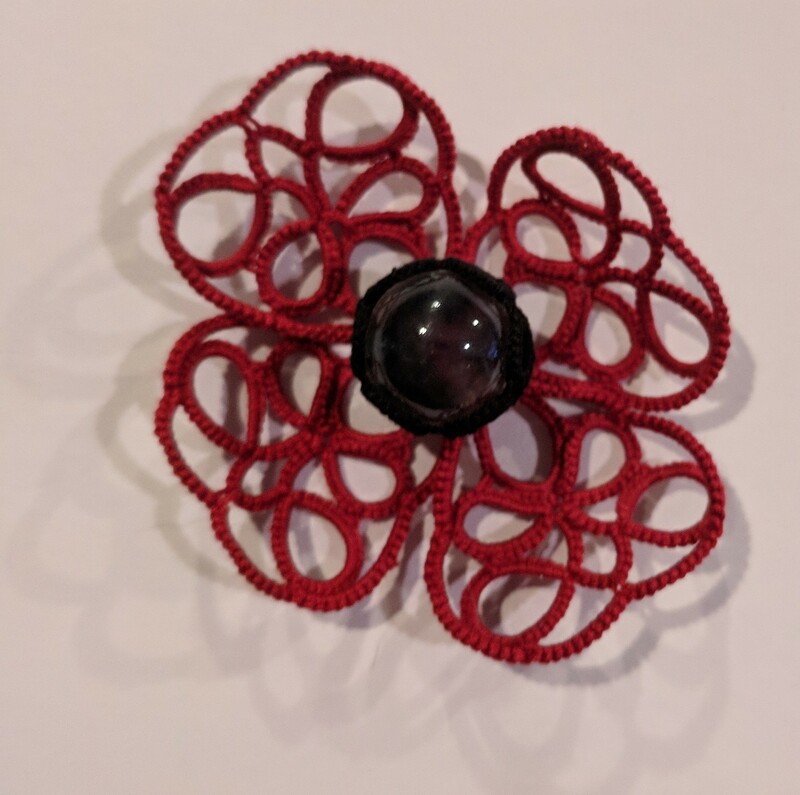 Chains are tatted with reverse stitches and reverse order (that also creates front and back side tatting); rings are tatted normally. 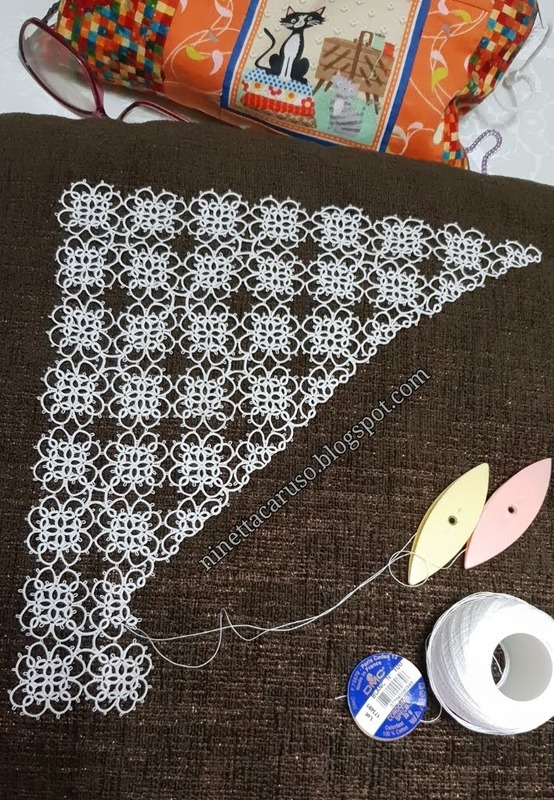 I love this way, speed up the tatting and the lace is uniform. The square grews in counterclockwise direction. I love "auto" patterns. 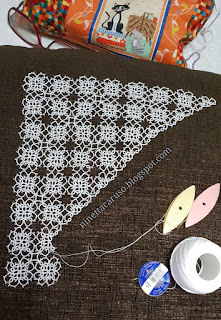 I have a butterfly and a small shawl cross that's an auto pattern for me. Your squares turn out lovely! The pattern is simple but looks marvellous!! This is very pretty, Nin. Frankly, I can't see where Dr Downplay has played his role here - he has been very Meticulous!